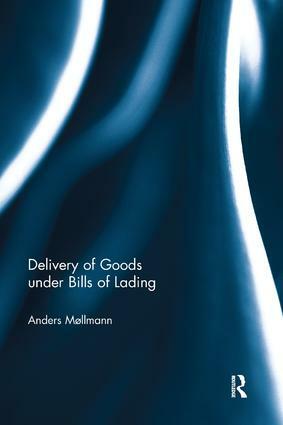 Probably the core characteristic of a bill of lading is that the original bill of lading must be presented at the port of destination for a consignee to be entitled to delivery of the goods and for the carrier to get a good discharge of its delivery obligation by delivering the goods to said consignee. This notion is accepted virtually worldwide, but the more precise content of the "presentation rule" differs from jurisdiction to jurisdiction. Furthermore, and of importance, the legal basis establishing the "presentation rule" differs. With the technological advances in maritime transport as well as in communications technology and the emergence of more complicated trading patterns, a system where a specific tangible piece of paper issued at the port of loading has to be presented at the port of discharge to obtain delivery of the goods seems almost archaic and can obviously create problems. Thus, in practice very often – especially in some trades such as the oil trade – the bill of lading is not available at the port of discharge when the ship is ready to deliver the cargo. The book will first analyse the "presentation rule", its finer contents and its legal basis. It will then go on with (legal) analyses of three developments and responses to the problems that the bill of lading system gives rise to in practice, viz. the commercial, the international legislature’s, and the technological response. The commercial response analysed here consists of contractual exemption or limitation clauses in the bill of lading set up as a defence against claims for misdelivery. The international legislature’s response denotes the adoption of the Rotterdam Rules which as the first international convention on carriage of goods by sea includes elaborate rules on delivery of the goods. Finally, the technological response denotes the possibility of using electronic (equivalents of) bills of lading. The analyses will include a comparative approach examining both English and Scandinavian law to elucidate the issues with greater clarity. Dr Anders Møllmann is an Associate Professor in Maritime Law at the University of Copenhagen, Denmark.